Good food is love. My husband and I are both adventurous when it comes to food. We love dining out and trying different restaurants. This explains why I haven't lost weight after giving birth even if I'm breastfeeding arrrghh. 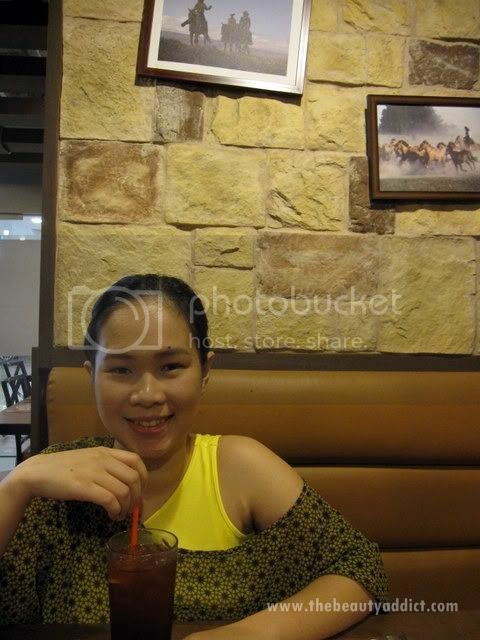 Last Saturday, we decided to have one of our food trips at SM Megamall. We chose Holy Cow since it's one of the restaurants in Atrium we haven't tried. I've heard not so good feedbacks from people about it but I have to try it myself for me to believe. As soon as we entered the restaurant, we were greeted cordinally by a staff and let us choose our seat. Very inviting interior and amiable staff, definitely a good first impression. 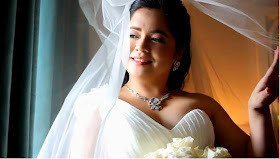 Kim Rodriguez wearing a nursing top from Mommy Matters. 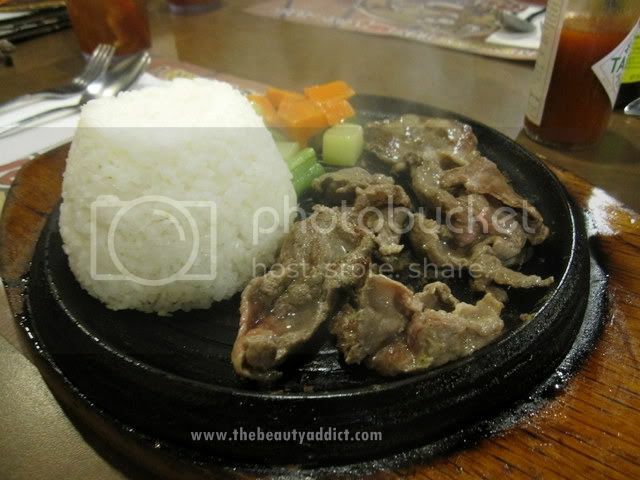 Slices of beef with peppered gravy and buttered veggies. 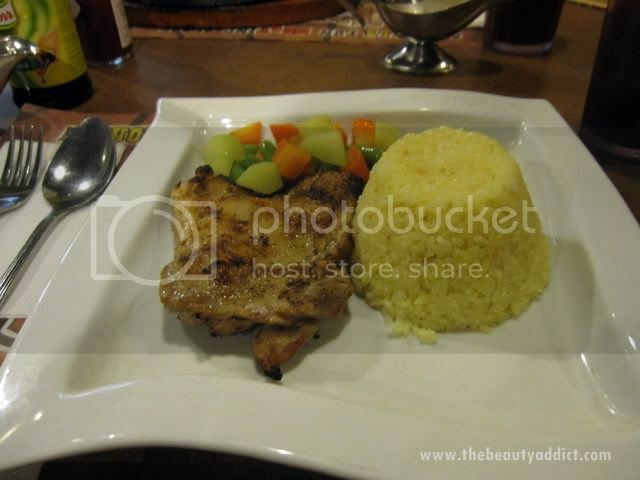 Tasty grilled chicken breast with gravy, buttered veggies and buttered rice. And breastmilk for my little boy. He always ask for milk when he sees me eating. Naughty naughty boy! hahaha. Overall, Holy Cow satisfied our not-so-picky taste buds. We enjoyed every munch of the food we ordered. I loved how tasty and soft the beef is and the peperred gravy really enhanced its taste. My hubby also loved his chicken and he said it was so good. The buttered veggies were crisp too. As for the staff, they were really attentive. We didn't have to ask for iced tea or gravy refills. Geez, I didn't know how many glasses I had. 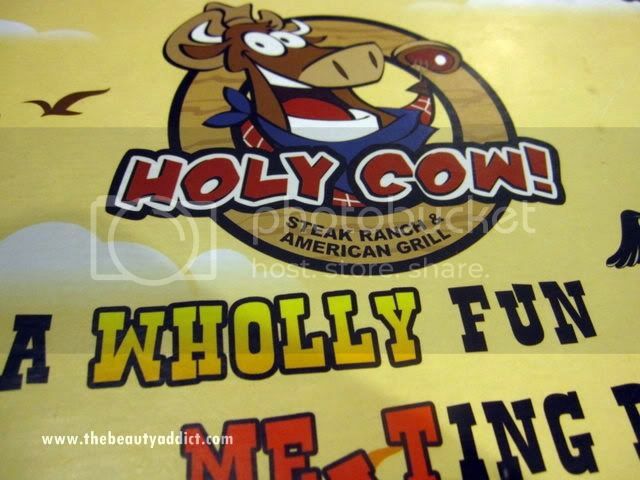 For hubby and I, Holy Cow is really worth trying. It's not budget-friendly but we had a good experience. We'll definitely go back to try the other dishes on their menu. 3/F Atrium, SM Megamall, Ortigas Ave.